FIRE! 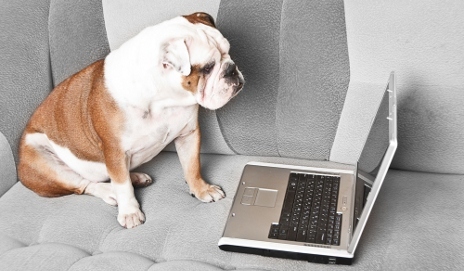 Would you save your pet or your laptop? In a fire, Brits are more likely to save their laptops than the family pet, a recent survey reveals. Are you so cruel to rescue an inanimate object (even if it does contain your personal files) over Lucky the dog? Almost one quarter of the 1,219 surveyed by MyVoucherCodes said that their laptop was a priority in a fire. This was followed by 18% who said they’d save their mobile phone, and only 14% who’d save their pet. Though I don’t think this took into account whether people actually had a pet or not. iPods and cameras came in at 9th and 10th place respectively, with items such as wallets, jewellery and clothing making up the middle of the top ten table. I think the research says more about the attachment we have to the content saved on our computers or phones, rather than the hardware itself. And while laptops are likely to contain music, video, and perhaps work documents, it’s the photographs that I think will be most missed. They simply cannot be replaced. Most insurers don’t cover downloads, despite their monetary and sentimental value, as explained by Alex Kouzarides in another of today’s Conversations. So what’s the solution? Backing up your files offsite is an option, but most of us will hang onto the naive notion that ‘it will never happen to me’ rather than actually carry out the onerous archiving project. How about saving your photos in the cloud? By that I mean storing it remotely on connected servers instead of actually on your PC or laptop. At the moment people seem to be cautious of saving personal files in the cloud, but Flickr and Facebook are two huge repositories of cloud-based photo albums – and sometimes of the most alarmingly personal type. In a way, many smartphones already do this. The new htcsense.com service allows you to access files on your HTC phone remotely, as does Apple’s subscription-based MobileMe. Such services ensure that texts, photos and contacts will never be lost. As for me, I’m in favour of cloud-computing. The three terabyte of hard drive I have at home is almost bursting at the seams, so I’m gradually moving things away onto the cloud. And I’m sure pets would be in favour of cloud-computing too – it could save their lives. Lucky? The dog needs to be renamed. The rest is just too sad to comment on. The survey is a sad comment on today’s society. I have three large dogs – they would be saved above all else. I have three tower/desktop and four laptop computers – they could go hang. Most of my paper files are in a heat proof safe. I have backups of computer files on the ISP server. How terrible that people don’t care about their pets so much as inanimate objects! You can always replace Lucky the Dog with Lucky the Dog v2.0. If I had 1 second to choose and could only take one out the fire, I would probably take the pet over the computer. I don’t think you can replace one dog with another – All of my many dogs were/ are individuals with separate memorable personalities. Just like my human children. Do you think you can replace one child with another?